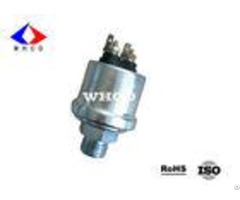 White Zinc Plated Mechanical Oil Pressure Sensor For Cummins Engine Product Description Oil Pressure Sensor is widely applied to many fields, such as the engine pipe of vehicle and ship, water processing project, inspection and control of industrial process, hydraulic and pneumatic control projects. Application Automotive Engine Automotive Brake System Air Compressor Agricultural Machinery Engine Generator Engine Diesel Engine Hydraulic Control System Technical Data Pressure range: 0 - 10 Bar Power supply: 5.0 VDC Output: 0.5 - 4.5 VDC Measuring accuracy: 1.5%FS Material: cover(carbon steel), sensor(ceramic) Pressure connection: NPT1/8, NPT1/4, M10, M12, customized. Protection rating: IP66 Feature Superior long term stability Temperature compensated over wide range Low power consumption Excellent repeat-ability / Hysteresis Special design for customer Many OEM options Instruction This product is matched with the pressure gauge and alarm, it senses the change of engine oil pressure (or brake system pressure), and transfers the amount of change to the pressure gauge for real-time display. When the pressure is lower than the set value, the low voltage switch is on and the alarm light is bright. This product is simple in structure, convenient in use and reliable in performance. Cautions 1. this product needs a wrench to be clamped to the six side nut and tighten the thread. The maximum tightening torque is 17N.m. 2. the output end of this product is connected with the wire harness to ensure the reliable transmission of the signal. Our Service # # Our quotation is always valid for you if there is no world market unrest. # Receiving your new inquiry, the details of products & the best price will be provided you asap. # 7 days replacement and 12 months repair free of charge for quality problem. # Port: Shanghai. # Payment: T/T. # OEM available # Delivery time is 7-10 working days. # All goods will be fully checked by our QC. # Package: The goods will be put into the packing box with instructions and certificate of quality first. Then we pack them into the box with polystyrene foam avoiding the damage to the products. # Shipment: Express (FedEx, DHL, UPS & TNT) or forwarder. Q & A - - - - Question | Answer | Whats your main products? 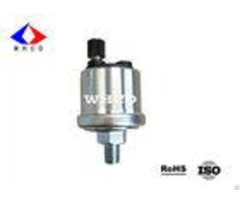 | oil pressure sensor, liquid level sensor, water temperature sensor, speed sensor | Where are you? | Wuhan city, Hubei Province, China | Do you accept OEM? | Yes, OEM is welcomed | Are you manufacturer or trading company? | We are manufacturer with export license. | Do you provide sample? | Yes | Do you have any certificate? 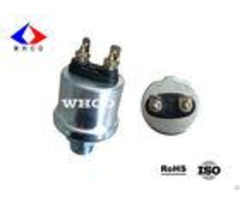 | Yes, we have ISO/TS16949, RoHS | Whats the MOQ? | Theres no limit for MOQ | - - - - Company Introduction Wuhan Chidian Technology Co., Ltd is a professional manufacturer specializing in automotive sensor, located in the beautiful Wuhan Eco-Tech Development Zone. 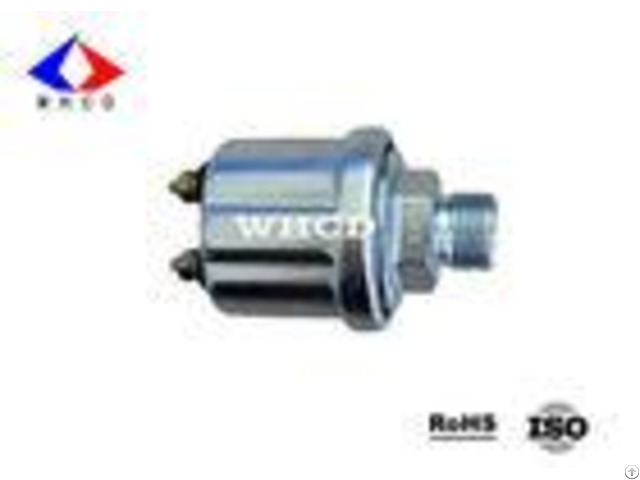 Mainly engaged in R&D, production and sale of automotive pressure sensors. We have first-class technical team, with strong R & D capability and rich experience in production management. In the production line, we have the most advanced and completed sets of equipment to ensure product quality and reliability. Our product quality has won user community's good reputation. Looking forward to the future, the company is moving into the fast lane of development and will continue to adhere to the concept of creating quality products to serve global customers. Our mission is to be the most valuable and competitive automotive pressure sensor in the world.